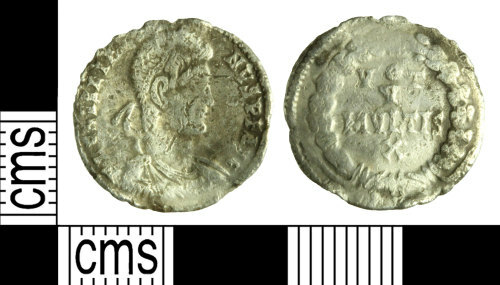 A silver contemporary copy of a Roman siliqua of Julian II ('the Apostate'), dating to the period AD 355-363 (Reece Period 18). Reverse type depicting VOT / V / MVLTIS / X enclosed within a wreath. Copying uncertain mint. Obverse description: Diademed, draped bust right.